There are a number of national parks in Pakistan, which you can include in your wildlife tours in Pakistan. The Deosai National Park is an exciting place to spend your holidays in the wild and with the wild. The park is famous for its population of brown bears. The Kirthar National Park is another wildlife sanctuary that you can include in your wildlife tour itinerary. 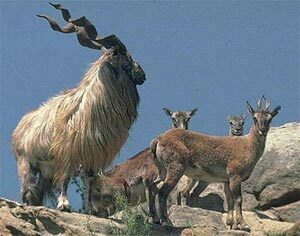 The wildlife in the park includes chinkara, Sind Ibex, gazelles, leopards and wild sheep. There are a number of other wildlife sanctuaries and national parks in Pakistan that you can visit. 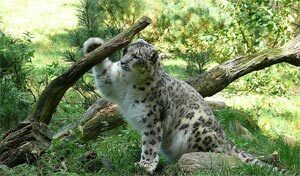 Some of the wildlife sanctuaries that you can visit on your wildlife tour to Pakistan include Margalla Hills National Park, Hazar Ganji Chiltan National Park, Lal Suhanra National Park and Khunjerab National Park. We have compiled a list of wildlife viewing and safari vacations in Pakistan. If you are interested in any of these vacation packages, please contact the operator directly with any questions for ordering free brochures or booking. The Islamic Republic of Pakistan is located in South Asia and the Greater Middle East. With a 1046 kilometre coastline along the Arabian Sea, the south region is a crossroad of historic trade routes, including the Silk Road. Afghanistan and Iran are to the west, India to the east and the People's Republic of China to the far northeast. It is the sixth most populous country and the second most populous country with a Muslim majority. Once part of the pre-partitioned British India it has a long history of settlement and civilisation including the Indus Valley Civilisation. Waves of conquerors and migrants including Harappan, Indo-Aryan, Persian, Grecian, Saka, Parthian, Kushan, White Hun, Afghan, Arab, Turkics, and Mughal settled in Pakistan throughout the centuries, influencing the locals and being absorbed among them. Pakistan's mixture of landscapes and climates allow for a wide variety of wild animals and birds and along the coast are mangrove forests which form much of the coastal wetlands. In the south, there are crocodiles in the murky waters at the mouth of the Indus River whilst on the banks of the river; there are boars, deer, porcupines, and small rodents. In the sandy scrublands of central Pakistan are found jackals, hyenas, wild cats, panthers, and leopards while the clear blue skies are abound with hawks, falcons, and eagles. In the south-western deserts are rare Asiatic cheetahs. In the northern mountains are a variety of endangered animals including Marco Polo sheep, Urial sheep, Markhor and Ibex goats, black and brown Himalayan bears, and the rare Snow Leopard. In recent years the number of wild animals being killed for fur and leather trading led to a new law banning the hunting of wild animals and birds and the establishment of several wildlife sanctuaries and game reserves. As there are many festivals celebrated annually such as Ramadan, Eid ul-Fitr and Eid ul-Adha why not take the opportunity to visit. Tourabout has a number of overland journeys for travellers wanting to follow in the ancient footsteps of the Silk Road traders that cross the Karakoram Range into Pakistan. Pakistan is home to various wildlife sanctuaries and national parks. These parks and wildlife sanctuaries provide tourists a wonderful opportunity to enjoy the flora and fauna. Away from the hustle and bustle of cities, wildlife sanctuaries provide the quiet refuge in the lap of Mother nature.